Dr. Sanjay Khurana and Dr. Rojeh Melikian of Los Angeles Spine Group comment on an ESPN article about the treatment and expected recovery process for the professional football player’s back injuries. "Depending on the nature and extent of pressure and injury to the spine, many people are healing and recovering from surgery for back pain faster and more successfully than ever before,” said Dr. Rojeh Melikian. According to a January 8 ESPN article about defensive end Robert Quinn of the St. Louis Rams, the football star is currently in recovery from back surgery to correct an unspecified injury. According to Quinn, he is up and walking again and focusing on his rehabilitation. Some form of back strain and spine injuries are inherent to all sports, particularly from the grueling physical contact that is routine in professional football. Many star athletes are forced to take some time off over the course of their careers to heal and recover from injuries that can range from mild muscle strains and tears, to more serious damage to the spine, joints, and lower back. Orthopedic spine surgeons Dr. Sanjay Khurana and Dr. Rojeh Melikian from the Los Angeles Spine Group discuss the effects and recovery time needed for spine surgery. “Spine injuries and chronic back pain are not at all uncommon among professional athletes, especially football players. With reports suggesting that he was previously suffering from hip and knee problems before his back surgery, Robert Quinn was most likely suffering from progressive damage that impacted his ability to continue performing without surgical intervention,” said Dr. Sanjay Khurana, a board-certified orthopedic spine surgeon at Los Angeles Spine Group. Dr. Sanjay Khurana is a board-certified and fellowship trained pediatric and adult orthopedic spine surgeon in Los Angeles. He specializes in minimally invasive and robotic spine surgery procedures with an emphasis on degenerative disc disease, herniated disc, spinal stenosis, scoliosis and spinal deformity, spinal instability, spine trauma, spine tumors and spondylolisthesis. 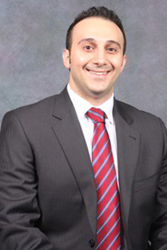 Dr. Khurana completed his undergraduate degree at the University of California at Berkeley and his medical school and orthopedic surgery residency at The Stanford University School of Medicine. Dr. Khurana completed his combined orthopedic and neurosurgical training at the prestigious University of Miami / Jackson Memorial spine fellowship under the mentorship of Dr. Frank Eismont and Dr. Barth Green. To learn more about Dr. Sanjay Khurana, please call 310.321-4333 or visit http://www.laspinegroup.com.